20.12.2008 International show in Vilnius, Lithuania , judge Peata Petkeviciene ( Lithuania) Blanco Solar Dad’s Baby CH 1/1, LT CAC, Best female-3, LT CH & BALT CH! 23.10.2008 oficial BAER test result - all puppies from C-litter are full-hearing (+/+). Our chesky terrier Estet Classic FLAMENDR (Dracek of Cesky Dream's x Talicka vom Lichtblick) -Baby class very promesing, The Best Baby of the Breed. 31.08.2008. International show in Pskov, Russia - dalmatian BLANCO SOLAR BISAR best baby! 27.07.2008 National show in Marupe, Latvia, judge - Joao Serradas Vieira Lisboa (Portugal) - Blanco Solar Dad's Baby open class 1/1, CQ, LV CAC , Best female-2, Latvian Champion! 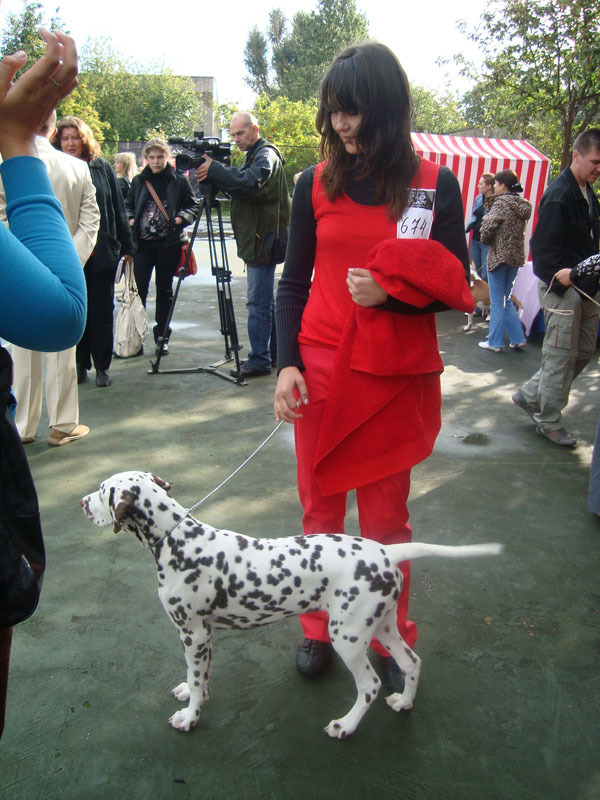 08.06.2008 National show in Pskov, Russia - dalmatian Alderisland Amazing Amanda CH 1/1, RUS CAC, Best Female-1, Russian Champion!